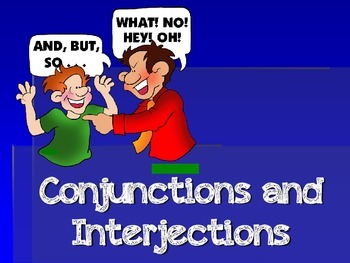 This product includes PDF format Power Points slides covering Conjunctions (Coordinating and Correlating) and Interjections. The product is in PDF format to preserve the fonts and graphics. A copy of the product in Power Point is available upon request. 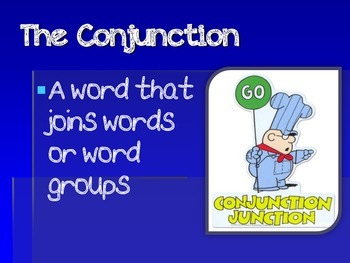 A student study guide is also available in my TPT store which is free and correlates with this product.